Whangarei is in the most northern area of New Zealand. It has a long history dating back to 1839 when a couple of traders moved into the area. Since then it has gone through several changes. As the natural resources became scarce or completely gone, it has turned into a mostly agricultural area. Prior to 1935 when the Auckland rail came through, all of Whangarei products were shipped down the Ngunguru River. 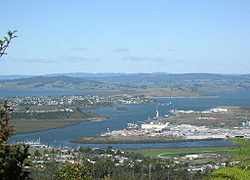 In the later part of the 20th century Whangarei has seen an oil refinery and timber processing begin. For those boat lovers, both sailing and power, the Whangarei Marina has all your needs. Dock for the day and explore the areas of Whangarei that you can hike, enjoy the shopping, cafes, restaurants, and even the museums. With the expansion of the oil refinery and timber processing the last part of the 20th century, this century may see a container port coming to Whangarei. The container port could use shipping containers for processed timber and oil products to be shipped throughout the country as well as worldwide. There will also be used containers that will need recycling which can be used for storage, homes and commercial businesses. The proper modifications to the used containers can help them fit into the community without leaving a large carbon footprint. Since the used containers will need modifications done a whole new business opportunity can be had in the field of recycling the shipping containers. First, they must be sandblasted, painted, and then have doors and windows placed in them. After that, shipping container engineering will have to place walls, electrical and plumbing to make them work for homes and businesses. The list goes on; almost anything you can come up with for using shipping containers can be done with the proper alterations and attention to details. Whangarei NZ offers plenty of activities to visitors and community members who want to take the time to explore the area. The marina, specialty shops, gardens, and golf provide many jobs to the population who live there; however in this next century when the container port goes in there will be plenty more opportunities for the population. The people of Whangarei can be ready to meet those needs with their skills and knowledge in order to provide shipping container alterations for use in new homes, shops, and businesses.